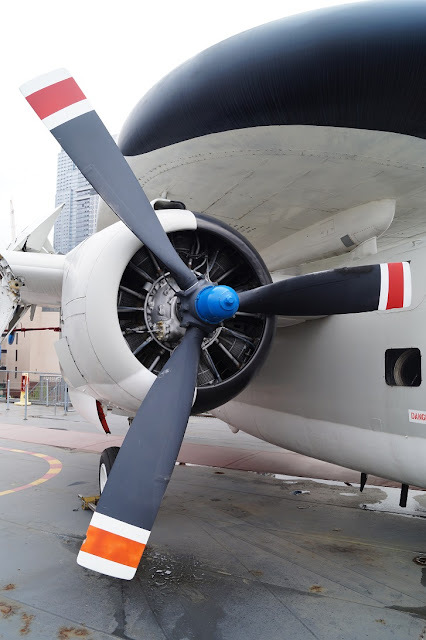 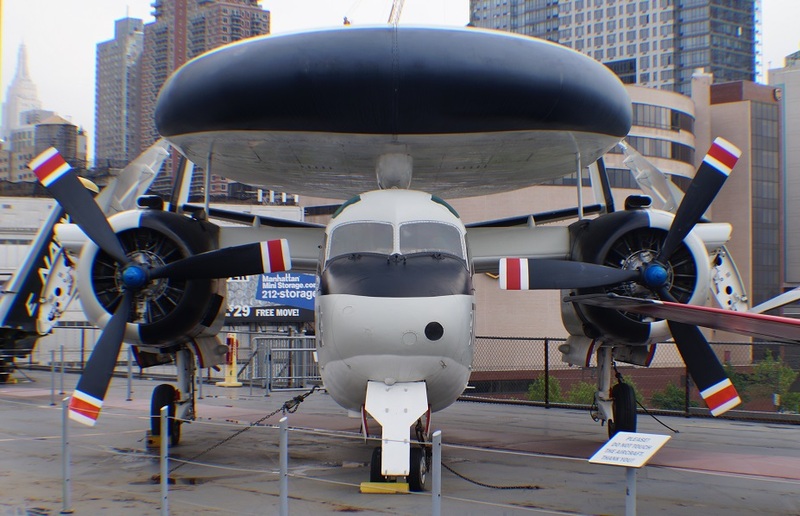 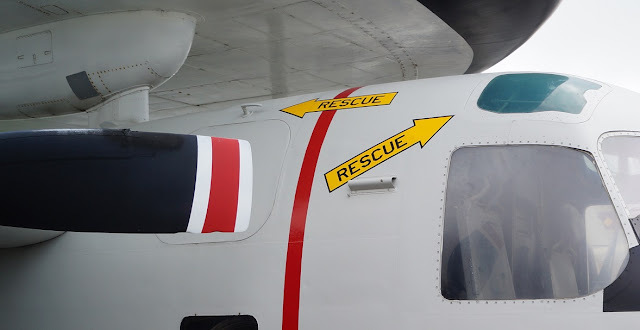 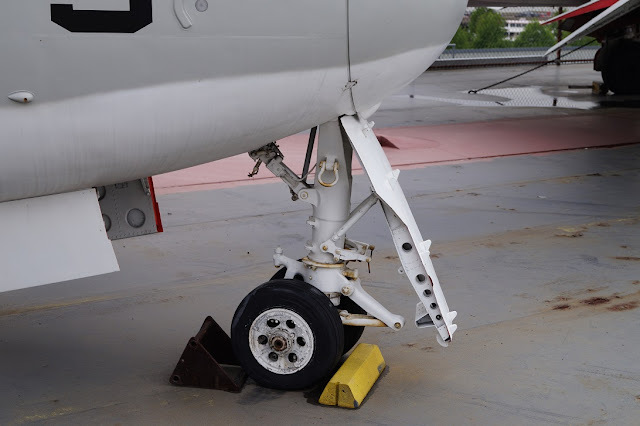 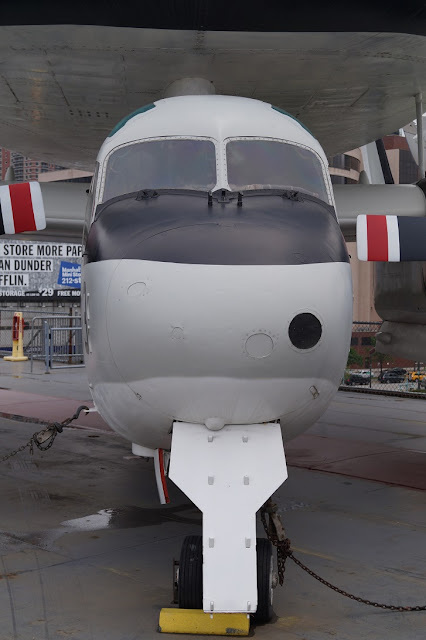 Location: Intrepid Air and Sea Museum, New York, USA 2014. 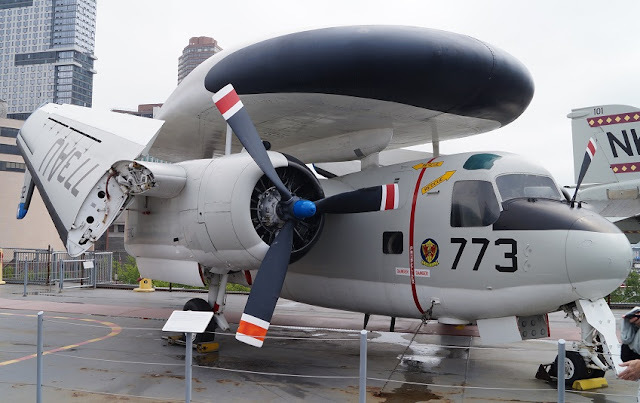 Comments: The E-1 Tracer was the first purpose built airborne early warning aircraft used by the United States Navy. It was a derivative of the Grumman C-1 Trader and first entered service in 1958. 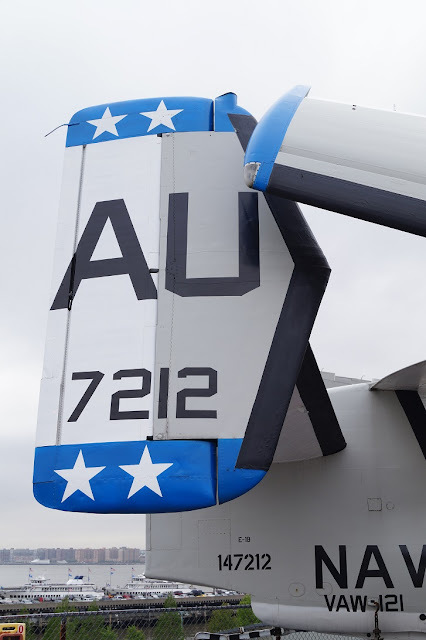 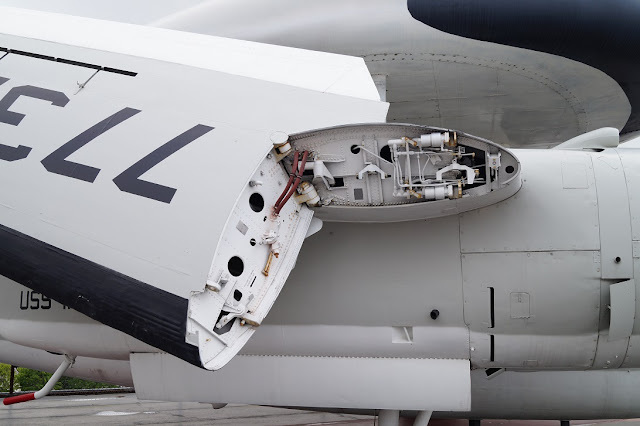 It was replaced by the more modern E-2 Hawkeye in the early 1970s. 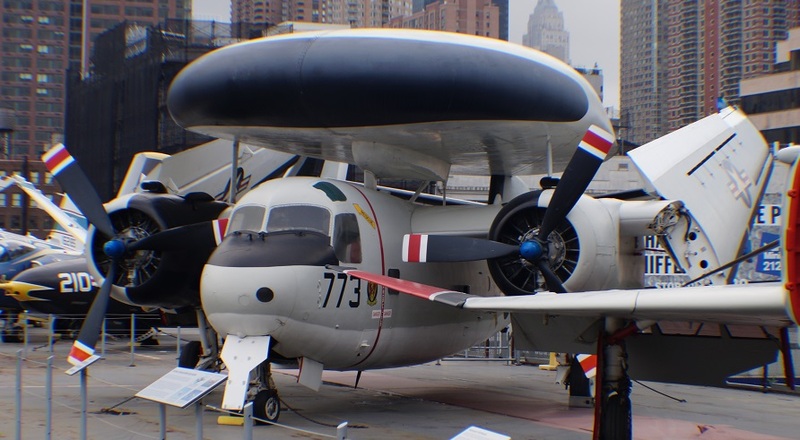 The E-1 was designated WF under the old US Navy system; the designation earned it the nickname "Willy Fudd". Since the S-2 Tracker was known as S2F under the old system, that aircraft was nicknamed "Stoof"; the WF/E-1 with its distinctive radome gained the nickname "Stoof with a Roof." 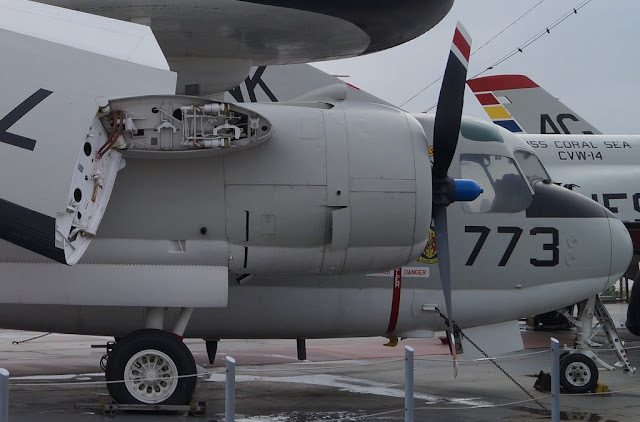 The E-1 featured folding wings for compact storage aboard aircraft carriers. 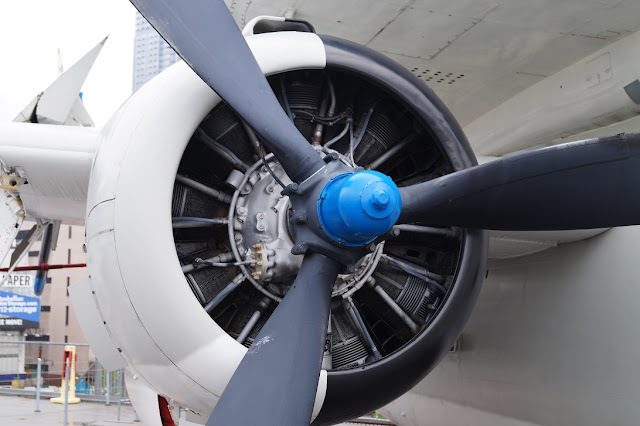 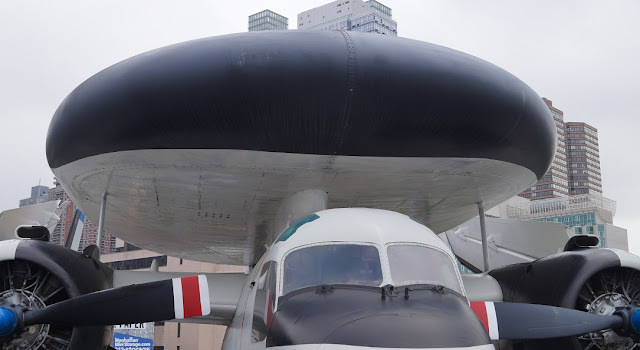 Unlike the S-2 and C-1 in which the wings folded upwards, the radome atop the fuselage necessitated the E-1 to fold its wings along the sides of the fuselage. 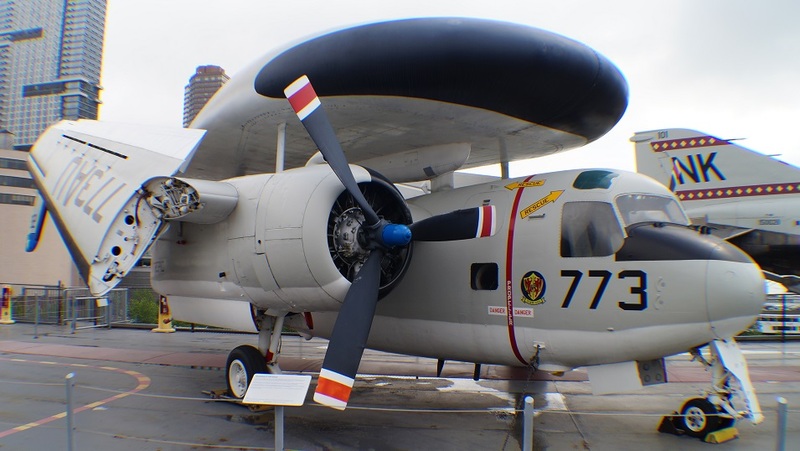 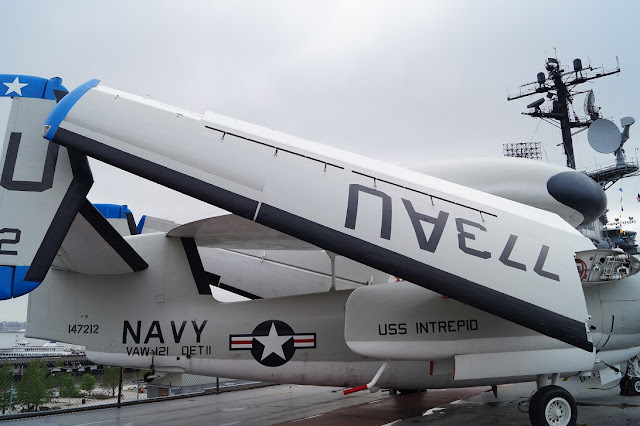 As one of the first carrier based early warning aircraft, the E-1 Tracer served from 1958 to 1977, although considered only an interim type, being replaced by the Grumman E-2 Hawkeye in the mid-1960s. 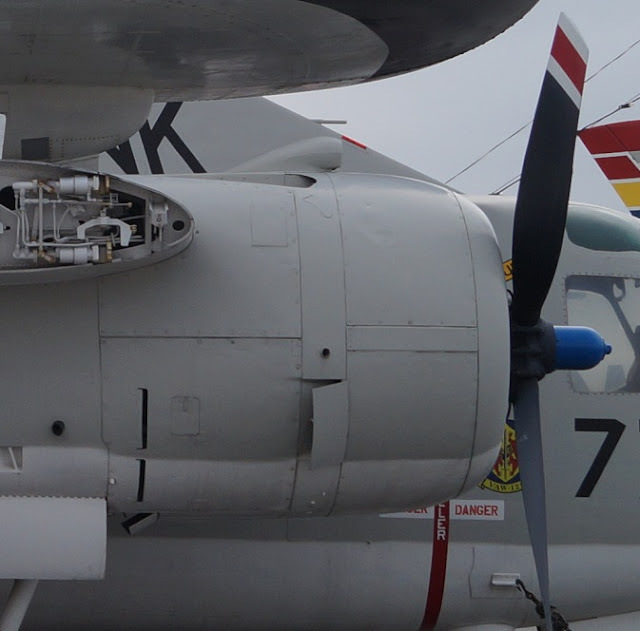 During the early years of the Vietnam War, E-1s saw extensive service, providing combat air patrol (CAP) fighters with target vectors, and controlling Alpha strikes over North Vietnam. 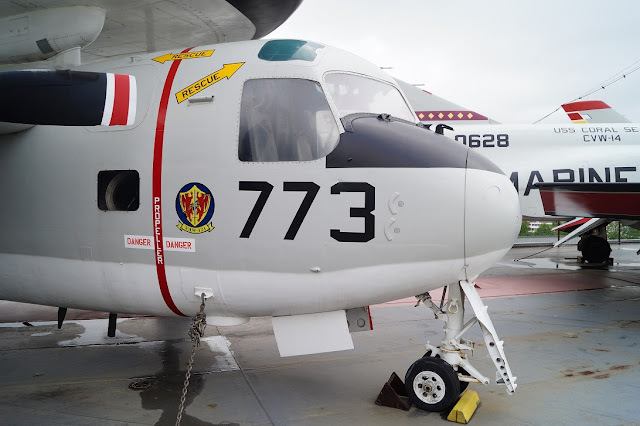 With a radius of 250–300 miles, the E-1B served as an early warning to strike aircraft, of enemy MiG's activity.By May 1973, most E-1Bs were retired, with only four RVAW-110 Tracers based at NAS North Island, California, still in service. These aircraft were soon retired during mid-summer 1977 following a final cruise on board the USS Franklin D. Roosevelt (CV-42) and were ferried to the Davis-Monthan storage facility. 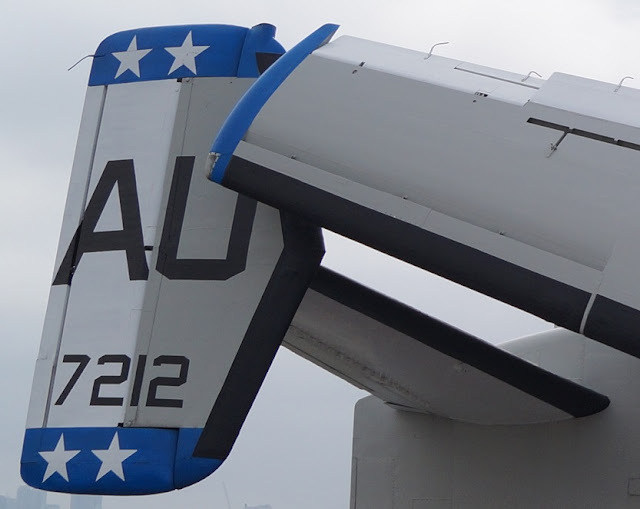 The E-1B Tracer was struck from the inventory by 1977.